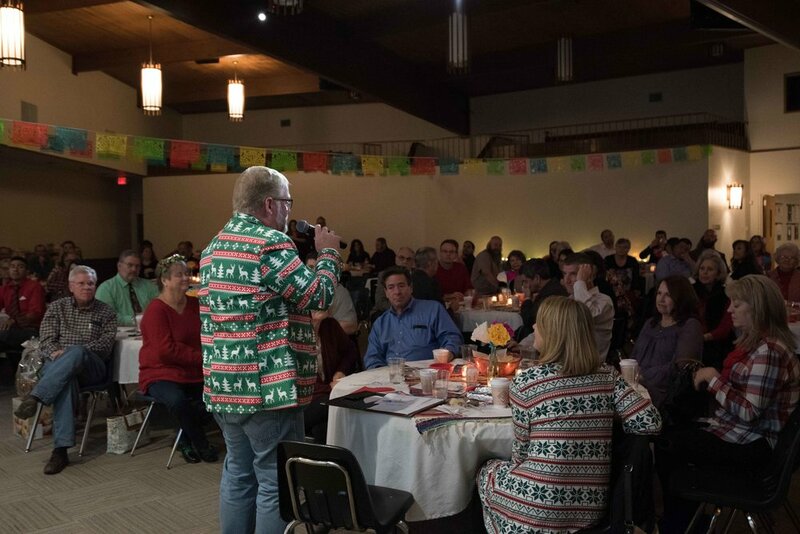 On December 10th our church gathered to raise money for adults and teens with a desire to serve and teach beyond the borders of our building and city. We blew past our ambitious goal of $15,000, raising almost $18,000 by the grace of our generous God who calls us into Christ-like giving. Gathering together for a purpose always blooms into joy, especially with so many hard-working people orchestrating the celebration. 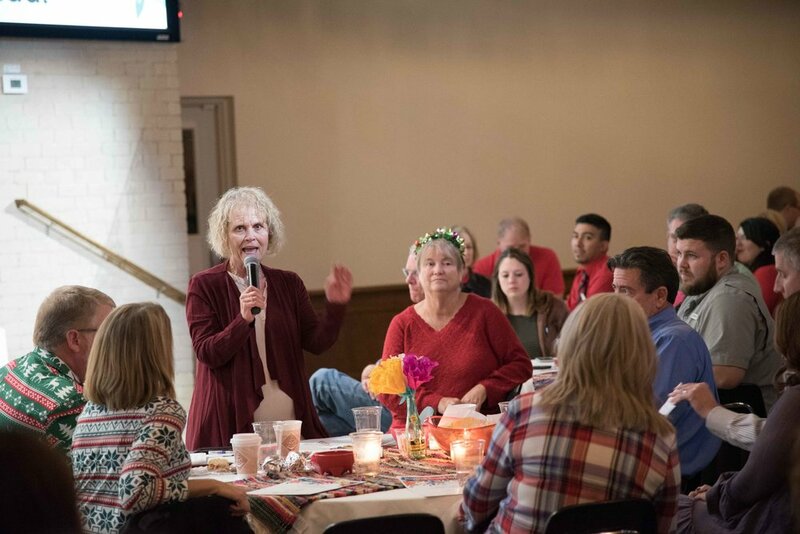 Thanks to everyone who played a part--planners, bakers, singers, decorators, servers, logistics folks, baristas, money counters, speakers, testimony-givers, photographers... Everyone. Thank you for letting God use You do His good work. This year that money will send teens to Houston for hurricane cleanup. It'll send teens to Lima, Peru to work with orphans and street kids. It'll send adults to Croatia to encourage and equip local minsters and capture stories of the work there. It'll help send one of our college kids to Africa. 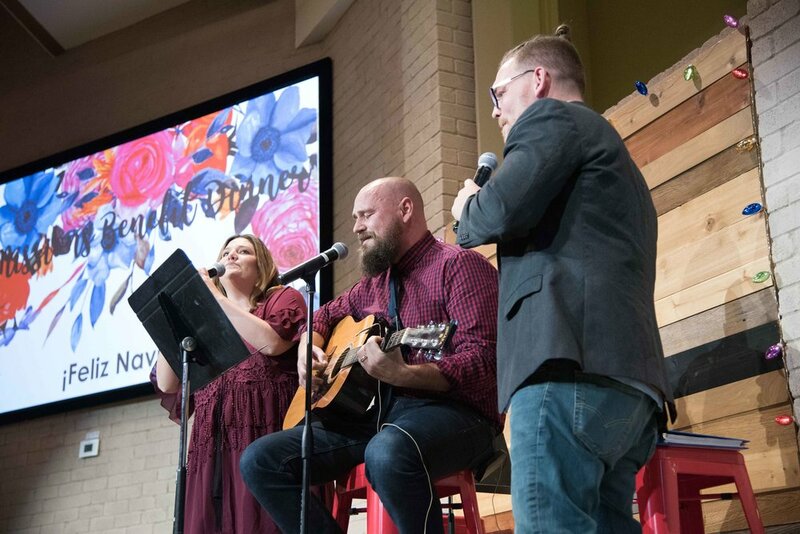 It'll also benefit the work done through Come Before Winter, an organization devoted to spiritual renewal for missionaries and church workers. So much good work enabled by the generosity God stirred up in your hearts! Look what God's done! Thank You, God. We love it. Here are a few pictures and videos from the night.